By the time mid-July rolls around, quite a few changes have taken place at your favorite fishing hole and the fish are in the midst of their summer patterns. 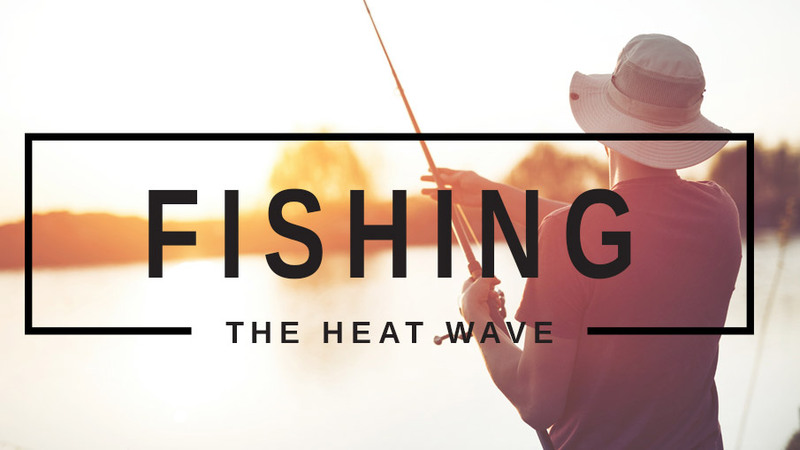 According to JP DeRose, host of Breaking Boundaries, who will be joining us for an in-depth two-part interview, the intense heat and sunlight makes fishing about 80% more efficient. The reason being, that fish don't feel free to roam and an angler can use this to his or her advantage and ultimately dictate where and how they should approach them. So, this week on The Revolution with Jim & Trav, we're “Fishing the Heat Wave” with practical how-to’s for ripping more lips and landing more lunkers. After Mr. DeRose, we'll be joined by our roving fishing editor and extreme catfish guide, CatDaddy, for an up to date bean hole report. Finally, Jason South, of Florida Adventure Quest, will wrap things up with an exciting Florida offshore report. The Revolution is presented by Outdoor Channel, Sportsman Channel, World Fishing Network and MyOutdoorTV. The dog days of summer are upon us and when the sun starts to beat down most people are ready to pack up and head indoors. However, JP DeRose, host of Breaking Boundaries on World Fishing Network, joins The Revolution this week to hand out tips on how to use the sun to your advantage. “The sun makes fishing for largemouth about 80% more efficient,” says JP. Sunny hot weather can help anglers better pinpoint the fish much quicker by allowing them to eliminate a lot of water immediately and focus on areas that provide more cover. JP will talk about how to fish points for more aggressive fish and how to change your strategy when fishing inside those points, and flats of cover, for less active fish. He’ll also showcase some great new fishing gear hitting the market now that you’ll want to tune in to hear more about! Florida is home to a very diverse fishery, giving way to fantastic opportunities for anglers. Jason South is the host of Florida Adventure Quest on World Fishing Network, and he joins Jim and Trav this week with a look at some of the hottest bites happening right now. Tune in as he dishes on snook fishing in the Florida mangroves, talks about their spawning habits and drops some tips on how to target them. He’ll also discuss the angling feat of catching the "Grand Slam" and explains the difference between different "slams" based on where you are fishing. Tune in as he talks redfish, snook, sea trout, tarpon, bone fish and permit, and how water clarity and location can make these Slams even more challenging. CatDaddy is a professional fishing guide out of Kansas and is an authority on landing behemoth catfish. One of the secrets to his success during the hot summer months is establishing what he calls “the bean hole”. Armed with a stinky concoction of fermented soy beans in 5 gallon buckets, CatDaddy chums the waters he will be fishing with this bait and waits for the big boys to move in. “You’ve got to make them beans where they’re just as funky as ever,” says CatDaddy. So far, this season, he has already pulled more than 250 catfish out of the water using this technique. Tune in as CatDaddy explains his technique and how to make the most of the fishing frenzy that will follow.